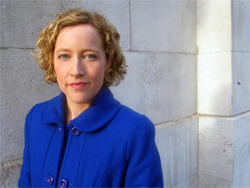 Cathy joined Channel 4 News as political correspondent in January 2006 – the first on-screen newcomer to the political team for 11 years – and works alongside political editor Gary Gibbon. Since joining, Cathy’s scoops have included the revelation that five illegal immigrants worked at the Home Office, and Gordon Brown insisting on a knighthood for his ally, the Labour donor Sir Ronald Cohen. Prior to arriving at Channel 4 News, Cathy worked as chief political correspondent for the Financial Times for three years. Before that she covered politics and media for the FT.